On Thursday 14th September, join Mark Amerika, Dene Grigar and Nick Lambert at a reception at the Gordon Square Cinema, Birkbeck. 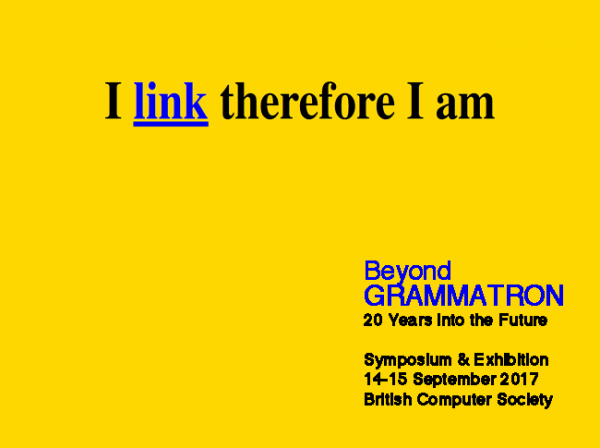 On Friday 15th September, we have a significant symposium about Mark’s work in the context of Electronic Literature, at the British Computer Society in Covent Garden. James O’Sullivan talks with Michael Maguire about his work as a digital artist and author of electronic literature. Sean Cubitt questions the vulnerability of media archives and henceforth our obligation to them. He analyzes the values of media archives today, and what the structure of these values can tell us about the nature of ethical and political obligation in the 21st century. 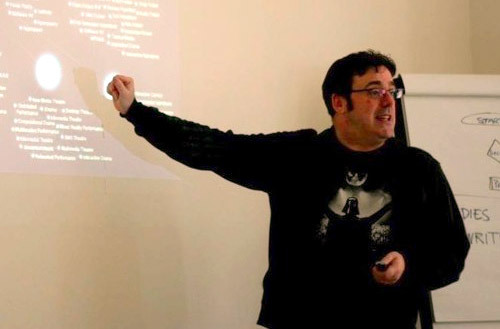 An interview with Leonardo Flores on Entropy discussing electronic literature – what it is and where it’s going.